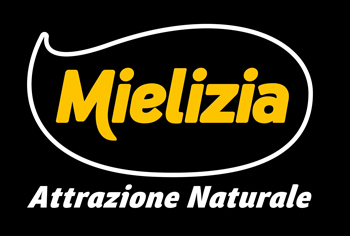 For over 35 years, Mielizia is the brand that has represented the beekeepers of Conapi, who collect the finest Italian honey, pollen, royal jelly and propolis from Piedmont to Sicily. Combining the Italian words for honey (miele) and delight (delizia), the name Mielizia sums up all the goodness and wholesomeness of our honeys: a cornucopia of tastes that conjure up the loveliest locations in Italy, where bees collect fragrant nectar to make into countless exquisite honeys. All our beekeepers deliver their best harvests to the company, in Monterenzio in the Bolognese hills, where the packing process can begin. Only after careful testing of freshness and quality are Mielizia honeys ready to be packed. This stage avails of a gentle process designed to respect the honey’s organoleptic and nutritional properties, preserving all the original aromas and flavours, which differ from one area to another and are as perfect as nature intended. Over 600 beekeepers with more than 90,000 hives the length and breadth of Italy. Around 2,800 tonnes of honey produced, processed and sold by CONAPI every year. Over 62% of our beekeepers are young people. Women manage over 20% of the cooperative’s beekeeping companies.